In this article, I present some of the critical concepts and issues that enhance our understanding of how to identity and more effectively manage and treat these ubiquitous and heterogeneous clinical conditions (Magnavita, 2004). I will also discuss the issue of clinical decision-making, a central aspect of working with personality dysfunction, which is necessarily complex, and often without the advantage of a robust evidence-base to guide these critical decisions (Magnavita, in press). 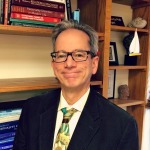 Over the course of three decades, I have had the opportunity in my independent practice to work extensively with patients, many of whom manifest what I prefer to view as personality dysfunction. Psychologists, as mental and behavioral health specialists with solid training in personality theory, psychopathology, and psychotherapeutics, are well situated to treat personality dysfunction. Some additional study, training, and supervision can enhance the ability and increase the comfort of working with these challenging conditions. Effectively assisting an individual, couple, or family in changing long-standing and maladaptive personality patterns has been one of the most rewarding aspects of my professional career. The gratitude that comes when patients are successful in altering these patterns is deeply satisfying. Once an independent practitioner becomes more comfortable with identifying and effectively treating personality dysfunction, referrals are likely to follow. Personality dysfunction may be reflected in our semantics. We hear other professionals describe “difficult people,” “treatment refractory cases,” “challenging clients,” “complex cases,” and so forth. These terms often reflect the presence of personality dysfunction—things in life are not going well, and often the individual’s personality is implicated. There is an abundant and immensely informative literature on characterological disturbances going back to Freud. The study of personality disorders became more formal after they were given a prominent position on “Axis II” in the nomenclature of the third edition of the Diagnostic and Statistical Manual of Mental Disorders (DSM) (American Psychiatric Association, APA, 1980). Although the multiaxial system was eliminated with the release of DSM-5 (APA, 2013), the criteria-based classification structure remains. An ongoing controversy exists regarding whether personality is best viewed as categorical (a list of criteria to be met), dimensional (existing on a continuum), or relational (expressed in our dyadic and triadic relationships). Although these issues are important for diagnostic and research purposes, probably the central issue for the practitioner is having a basic understanding that personality is our adaptive system for dealing with our world; when the strategies are not maximizing adaptive responsiveness, we can say that the personality, which is best characterized as a system, becomes dysfunctional. A chronic state of dysfunction initiated by early trauma and developmental insults can create a chronic state of dysfunction or personality disorder. Anyone under severe stress will likely experience a dysfunction of their personality system, but generally will return to premorbid level of adaptation after the stressor is reduced or time has passed. We all have an inherent resilience and capacity to process information related to traumatic experiences that allows us to overcome adversity, and yet we are not all equally resilient. Some of us will get stuck in maladaptive personality patterns that cannot be easily dislodged and restructured. Personality disorders can be identified when the clinician distills information from history, interview, and patient presentation of repetitive maladaptive behaviors, disturbances in interpersonal relationships, problems with perceptual processes, and affective and cognitive dysregulation. Other clinical syndromes generally do not cause these issues, although they may exacerbate the personality dysfunction or mimic some of the disturbance; effective management of the symptoms of depression or substance-related issues, for example, may allow the underlying personality to reconfigure and operate more effectively. There are various styles of personality disorders with which most psychologists are familiar, especially when presented in their textbook forms. However, these “textbook cases” are generally not the case in actual practice, and most patients diagnosed with a personality disorder will qualify for a diagnosis of at least one other. This represents the overlap and conceptual fuzziness with nosology, likely because of common underlying issues with regulatory, perceptual, and relational processes common to most types of personality dysfunction. There are certain heuristics that are helpful when considering the presence of a personality dysfunction. The first is, if a patient who enters treatment with a clinical syndrome or relational disturbance does not respond to first-line, evidence-based treatment after an expected period of time, then a personality dysfunction should be ruled out and the psychologist should consider shifting the focus to the personality system. Another indicator of personality dysfunction is when a patient reports numerous previous courses of treatment but has not derived much benefit or has worsened over time. The third indicator is when a patient has a profound and intense transference response to the clinician (often in the first meeting). After an extensive review of the literature and analysis of hundreds of patient videotapes, it seems apparent that adopting a unified framework is optimal when working with complex conditions such as personality dysfunction, with their attendant comorbid clinical syndromes and relational disturbances (Magnavita, 2005). A unified framework essentially is comprised of a biopsychosocial system model—the emphasis being on the interrelationships among the various levels of the system, from the micro- to the macro-system. A unified framework is based solidly in the relational matrix—humans are born, shaped, and operate in relational systems. A unified framework allows us to flexibly navigate the human ecological system and cautions us about becoming fixated at anyone explanatory level such as neurobiological, intrapsychic, interpersonal, familial, or societal. All levels of the system should be considered for comprehensive treatment planning. These include the intrapsychic (mind/brain, or what happens in our heads); dyadic (what occurs between two people), triadic (what occurs in threesomes), and sociocultural-familial (the interrelationships of the individual, family, and sociocultural system). For the most part, psychologists focus on what goes in in the mind-body. We are interested in cognition, affective-emotional experience, and internalized relational schema, as well as what occurs interpersonally or in dyads, such as defenses and interpersonal schema and processes. Family psychologists also honor the triadic and work with triangulated relationships common in families where there is a low level of differentiation in the members (another sign of a personality dysfunction), and the dysfunctional families that often engender personality dysfunction in their members. Ecologically-oriented psychologists focus on the community and social system. A unified framework utilizes all of these perspectives, as in a hologram, and encourages flexibility and utilization of multiple treatment modalities and approaches. There are a number of evidence-based approaches to treating personality disorders that are worth learning about and provide basic treatment approaches. It is beyond the scope of this article to review these, but generally they represent combinations of cognitive, cognitive-behavioral, psychodynamic, and interpersonal approaches. Any approach should be solidly based in evidence-based principles such as the importance of monitoring and maintaining the therapeutic alliance, which can be challenging; maintaining a high level of engagement; keeping the focus on the central or core issues or themes; and dealing with the reactions engendered in the therapist during the process. The clinician should never lose sight of strengthening and maintaining a collaborative relationship. Without collaboration, treatment will falter and the patient will terminate. It is good to elicit ongoing feedback from the patient or patient system (couple, family, group, community) to adjust the treatment and address any smoldering therapeutic misalliances, which are common in the treatment of personality dysfunction. All clinical practice is rooted in an extensive knowledge base, experience, supervised practice, and the ability to recognize patterns in complex situations. The complexity and clinical experience/judgment required in managing personality dysregulation make it unlikely that less trained psycho-technicians can apply manualized treatment approaches with positive outcomes. Effective clinicians are able to recognize the patterns that are the hallmarks of dysfunctioning systems, and with this knowledge craft interventions that successfully alter the way these systems operate. Our clinical constructs are in a sense pattern recognition tools (Magnavita & Anchin, 2014). These include cognitive and relational schema, which are tools we use to organize our experience and guide our interventions. These schemata are networks of encoded beliefs about others and ourselves, and we use them as guides to navigate our relational world. Other useful pattern recognition tools come from a variety of theoretical systems. Viewing clinical process through a lens of transference and countertransference events is another way clinicians map past attachment configurations which, if unresolved, remain problematic. For example, a patient who is immediately demonstrating issues with authority manifested by defiance and sarcasm provides a portal with which to consider early relationship encoding from experiences with significant figures. The clinician’s own feeling of annoyance when a patient communicates that they deserve special treatment because of entitlement might suggest a possible narcissistic injury in the patient’s past experience. A unifying framework for treating personality dysfunction rests on the foundation of the holistic interrelated levels of human functioning, from micro-processes (cells, neurotransmitters, neural networks) to larger levels, each becoming increasingly macro—encompassing the interacting levels of the total ecological system (TES). As noted previously, most contemporary approaches, in contrast, operate at a specific level such as intrapsychic-biological (what occurs in the brain-mind), interpersonal-dyadic (what occurs between two people), relational-triadic (what occurs in three-person configurations), and sociocultural-familial (what occurs in the interaction between the individual, family, and social systems). To effectively address the complexities of personality dysfunction, practitioners should include each of the following in their understanding of and work with their patients. There are important domain areas and skill sets to develop for specializing in personality dysfunction. The following ten have been distilled for psychologists who want to enhance how they treat or want to begin treating personality dysfunction: (1) recognizing pathways of anxiety (somatic, cognitive, character), (2) identifying and cataloguing defenses, (3) assessing the structural integrity of the intrapsychic system (psychotic-borderline-neurotic), (4) identifying and restructuring cognitive schema, (5) enhancing emotional differentiation, (5) mapping and modifying interpersonal patterns, (6) improving coping strategies, (7) enhancing psychological mindedness and self-awareness, (8) improving communication skills, (9) assessing and restructuring family systems, and (10) and maximizing social and family support. Boundary maintenance. Managing the boundaries between the patient system and clinician effectively, and especially avoiding boundary violations. Self-differentiation. Enhancing the patient’s ability to relate to others as separate from self or being able to hold an “I-thou” perspective; having a theory of mind concerning self and others. Trauma Resolution. Identifying and resolving various types of physical, sexual, emotional, and developmental trauma using an evidence-based approach. Affective differentiation and recognition. Enhancing ability to experience, recognize, label, and communicate feelings. Developing an increased capacity for emotional regulation—neither overly restricted nor poorly regulated emotional responding. Restructuring faulty schemata. Identifying and restructuring dysfunctional or maladaptive cognitive beliefs and encoding more adaptive self-other and relational schema. Attachment system remediation. Elucidating the patient’s attachment style and targeting these for modification to enhance more mature relationships and improved capacity for intimacy and closeness. Disruption of self-defeating patterns and learning new, more adaptive ones. Utilizing a key set of interventions revolving around disrupting habitual, often nonconscious ways of behaving and interacting. De-stabilization of chronically dysfunctioning systems. Disrupting chronically “stuck” couples, families, or larger systems so that they can be re-organized at a higher level of adaptation, as when a partner is encouraged to move out of the house in a case of chronic substance abuse. It is optimal to be trained in multiple treatment modalities, so that the most effective treatment package can be developed and offered. There is a lack of empirical literature on what treatment modalities are best. Some evidence suggests that a number of individual (Magnavita, 2004) and group therapies administered in day treatment are effective (Ogrodniczuk & Piper, 2001). 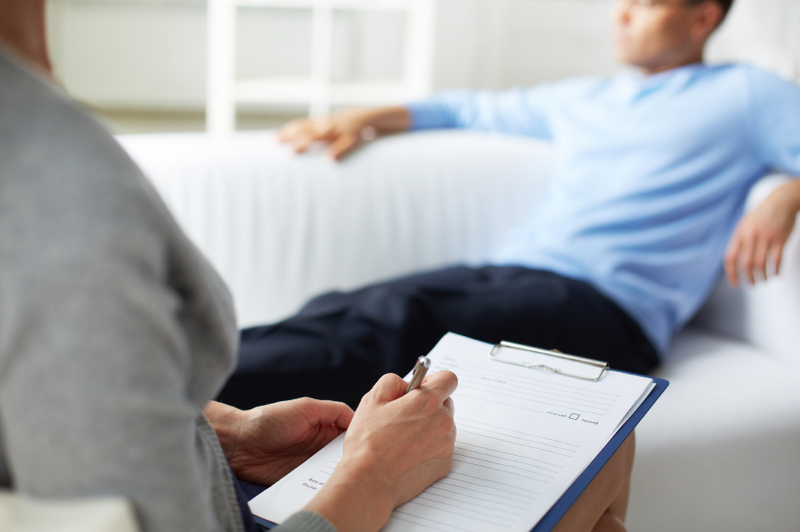 Less has been determined about couples and family therapy; from anecdotal evidence, these modalities, especially couples therapy, are probably essential. It is imperative that clinicians who are not trained in multiple modalities be part of a team of other professionals who can deliver high quality treatment using different modalities. Continually assessing the effectiveness of any treatment intervention and modifying the treatment plan by changing approaches or adding another modality (such as individual, couples, group, or family) to augment treatment is important. Using concurrent modalities can also enhance treatment potency. For example, a phase of individual treatment for both members of a couple while they are also engaged in couples work can be more powerful than either alone. The important consideration when developing or modifying a treatment package is to do a cost-benefit analysis by weighing all the potential benefits and adverse reactions that might occur, as well as cost and resource considerations. More modalities or treatment may not be better; the optimal plan is balances the competing forces to enhance growth, development, and acquisition of new adaptive patterns. One cannot regularly treat patients with personality dysfunction, especially in its more severe forms, without adequate support from and use of a multidisciplinary team. Clinicians must practice within their respective areas of expertise and competency. There are important ethical considerations, such as the benefit versus potential harm of diagnostic labels and the danger of failing to recognize the impact of comorbid personality dysfunction on patient response to a variety of treatments (Magnavita, Levy, Critchfield, & Lebow, 2010). Many patients require regular physical monitoring, expert psychopharmacotherapy, and access to community resources. Collaboration with capable medical professionals is required in cases involving physical comorbidities, eating disorders, and so forth. Treating personality dysfunction is truly at its best a team approach. Independent practitioners may find it necessary to develop collaborative relationships with others, including hospital and community-based practitioners, who offer services they are not trained to deliver. This collaboration and communication among providers represents true integrated health care delivery. Support from a team can benefit practitioners who treat any form of severe or physical disorder. Vicarious traumatization of the clinician is common and should be anticipated, so that one has a way of metabolizing the stress and strain inherent in dealing with a population that has a substantial trauma history. Self-care is an important component, as working with this population as a solo practitioner often necessitates being on call 24/7, with relief from a colleague when time off is needed. Psychologists who enjoy collaboration and conducting intensive forms of psychotherapy can expand their practices by developing or enhancing their skills working with those who suffer from personality disorders. This is not a specialty area to be entered into lightly, however: One should consider the ethical issues and reflect carefully on one’s skills, competencies, and limitations, seeking out needed education, training and supervision where necessary. Treating personality dysfunction is an area in which there is a strong need for practitioners, but should not be undertaken without having a devotion to the art and science of clinical practice. Magnavita J. (2015). 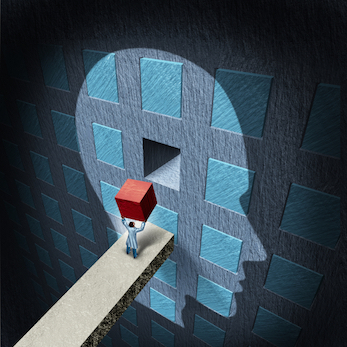 Personality disorder treatment in private practice: A specialty that is in demand. Psychotherapy Bulletin, 50(2), 34-39. Lenzenweger, M. F., Lane, M. C., Loranger, A. W., & Kessler, R. C. (2007), DSM-IV personality disorders in a national comorbidity study. Biological Psychiatry, 62(6), 553-64. Magnavita, J. J. (Ed.). (in press). Clinical decision making in mental health practice. Washington, DC: American Psychological Association. Magnavita, J. J. (2005). Personality-guided relational therapy: A unified approach. Washington, DC: American Psychological Association. Magnavita, J. J. (Ed.). (2004). Handbook of personality disorder: Theory and practice. Hoboken, NJ: John Wiley & Sons. Magnavita, J. J., & Anchin, J. C. (2014). Unifying psychotherapy: Principles, methods and evidence from clinical science. New York, NY: Springer. Magnavita, J. J., Levy, K. N., Critchfield, K. L., & Lebow, J. L. (2010). Ethical considerations in the treatment of personality dysfunction: Using evidence, principles, and clinical judgment. Professional Psychology: Research and Practice, 41(1), 64-74.